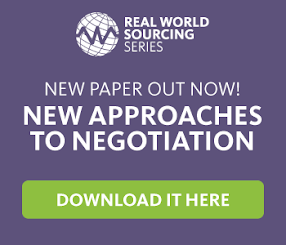 Strategic Sourcing: A New iPhone……Already? Apple’s iPhone5 was released less than a year ago but online speculation immediately began, regarding when we would see a new iPhone model. The latest rumours point to a release date for the iPhone5S as early as this summer. Consumers might be excited, but this rapid innovation is placing major pressure onto Apple’s supply chain. Long gone are the days of relying on the “cash-cow” product that could sit on the shelves for years without updates or upgrades. The new business model revolves around customer demand for constant innovation, and the ‘latest-and-great’ technology. While a traditional product life cycle traditionally involved 4 stages – introduction, growth, maturity and decline – the new version aims to almost eradicate the “decline” stage, ensuring that a product never becomes obsolete. So what can companies do to prepare their supply chain and procurement teams for shortened product life cycles Start by making demand planning and forecasting a top priority. We have all seen product launches go awry when demand outpaces supply, and consumers are forced to wait longer than promised for their back ordered product. So how will Apple fair with their next release? We may only need to wait a few months to find out.